As you sit down with your financial advisor to create an estate plan, one option that may arise is a testamentary trust. A testamentary trust is a type of trust that’s created in a last will and testament. Also known as a will trust or a trust under will, a testamentary trust provides for the distribution of an estate into a trust when the person who created the trust dies. In this guide, we dive deeper into what exactly a testamentary trust is, how to create one and who can create one. A testamentary trust is a type of trust that is created in a last will and testament. The terms of the trust are specified in the will. Unlike a living trust, a testamentary trust comes into existence only after the settlor dies. Because a testamentary trust doesn’t take effect until after the settlor dies, he or she can make changes up until that point, when the trust becomes irrevocable. The trust is created after the will goes through probate. Like all trusts, a testamentary trust allows the creator to stipulate how the assets contained in the trust will be disbursed. People often use testamentary trusts if they want to be able to specify when they leave their assets to a beneficiary. For instance, a parent might not want to leave their assets to their child until he or she turns 18 or graduates from college. The trust terminates when the beneficiary receives the specified assets. Who Does a Testamentary Trust Involve? A testamentary trust involves three parties. The grantor or settlor is the person who creates the trust in order to transfer his or her assets. The beneficiary is the person or entity who is the recipient of the assets. The trustee handles the trust and manages the assets until the beneficiary takes over. For example, a settlor may have a 3-year-old daughter to whom he or she wants to leave a certain amount of assets. The settlor could name his or her brother as the trustee, meaning that the brother will be responsible for managing the assets until the settlor’s daughter reaches the age of 18, or whichever milestone the settlor marked in the will. 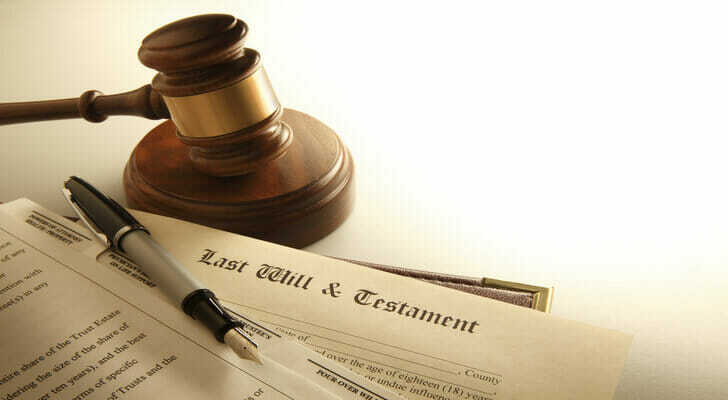 Once the settlor’s daughter, who is the beneficiary, turns 18, she will receive the assets and the trust will terminate. Since a testamentary trust is formed within a will, the probate court is also an involved party. The probate court must first determine the authenticity of the will. Only once that’s established will the trust be created. The probate court is also there to ensure that the trustee is correctly handling the trust per the will for the duration of the trust. The trustee may have to go to probate court once a year. A testamentary trust expires when the beneficiary receives the assets. A person creates a testamentary trust as part of a last will and testament. There can be more than one testamentary trust in a last will and testament. A testamentary trust does not take effect until the settlor dies. To create a testamentary trust, the settlor first must select the trustee and the beneficiary and specify the assets that are to be placed in trust. The settlor also has the ability to specify when and how to disburse the trust to the beneficiary. The last will and testament should detail all of this information. Upon the settlor’s death, the will goes through the probate process. Once this is complete, the trust is created and funds can begin to be disbursed. Many testamentary trusts include provisions specifying when some or all of the beneficiaries receive their trust allocations (e.g., at age 18). If this is the case, the trustee must go to probate court annually until the conditions are met to state that the trust is being handled in accordance with the will. The major benefit of a trust is that it gives the settlor control over when and how his or her assets are disbursed. This is especially important for settlors who have young children or grandchildren. With a testamentary trust, assets can remain protected until the child is old enough to be financially responsible. Another advantage of a testamentary trust is that it can be funded with life insurance proceeds after death. To do this, the settlor must list the beneficiary of the life insurance policy as the trustee of the trust. Then, once the settlor dies, the life insurance policy will pay out into the trust. While a testamentary trust has low upfront costs, the fees from probate court can add up. The trustee needs to meet with the probate court annually until the beneficiary receives the assets. If the trust endures for many years, the court fees can eat up a significant chunk of money. Creating a trust after death can also cause its own problems. The trustee may be unsure how to interpret the provisions and can no longer ask the settlor. The trustee might not even want the responsibility. In this case, any family member can volunteer or the court can appoint a trustee. However, this might be against the settlor’s wishes. But he or she no longer has the ability to contest, since he or she is dead. For someone who wants to create a trust and have control over asset disbursement, it may be in their best interest to create a revocable trust while alive. With a revocable trust it’s easier to have discussions and make any necessary changes. Revocable trusts also aren’t subject to the probate process, as they’re created outside of the will. While you can do it yourself, there are numerous pitfalls to DIY estate planning. You may want to work with an attorney and a financial advisor, particularly if your situation is complex. A matching tool like SmartAsset’s can help you find a financial advisor to work with who suits your needs. You’ll first answer a series of questions about your needs and preferences. Then, the program will pair with up to three suitable fiduciaries near you. You can then interview your matches and read their profiles to narrow it down. Once you decide choose your beneficiaries, don’t forget to update your retirement accounts, pensions, life insurance and brokerage accounts. 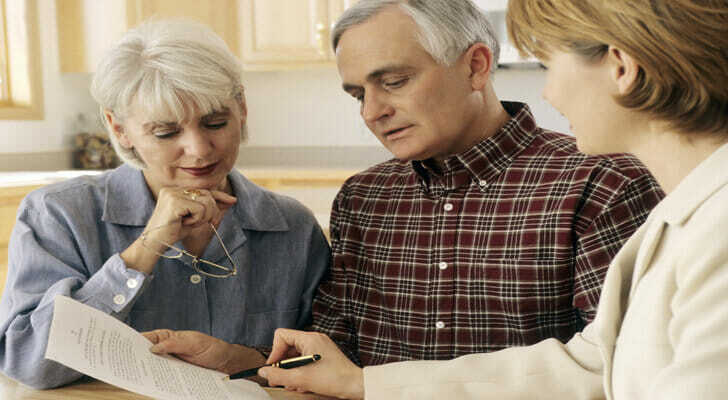 Aside from choosing your beneficiaries, you’ll also need to designate power of attorney. If you have minor children, you’ll need to determine a guardianship plan. Take steps to minimize estate taxes. Your beneficiaries could lose a significant chunk of their inheritance to taxes. There are a number of steps you can take to prevent this from happening though. For example, you can give portions of your assets to family members through gifts or set up an irrevocable life insurance trust.